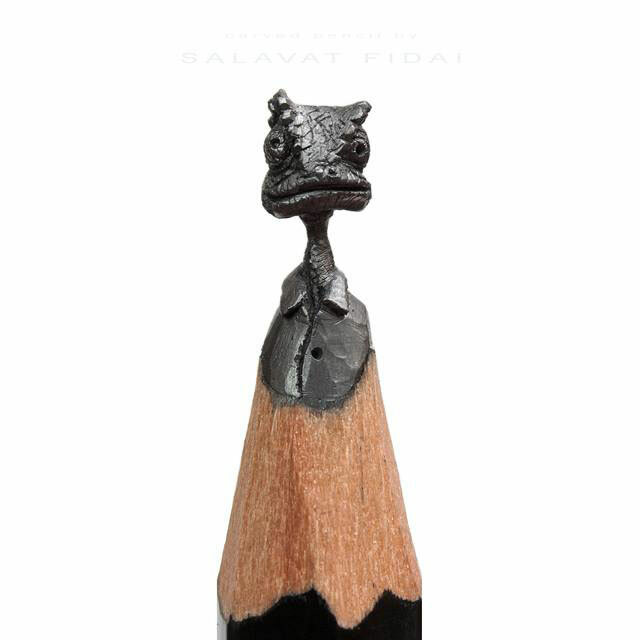 This is a pencil carving by artist Salavat Fidai. 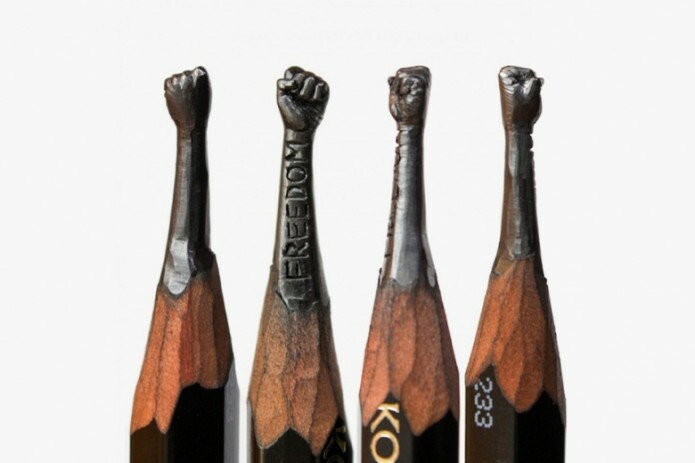 The 42 year old Russian gets a ridiculous amount of detail into such tiny sculptures. “The idea of painting or sculpture is born late at night, on the border of dream and reality. During the day I am looking online for photos and video material, then I make sketches or layouts. 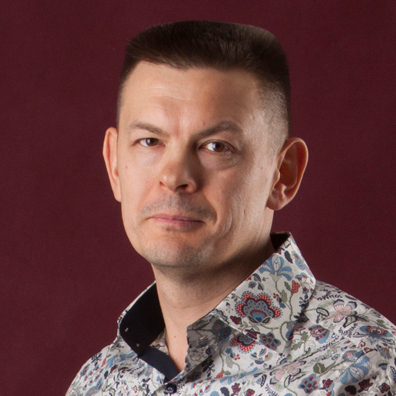 When I work with oil on canvas – i have an explosion of emotion, expression and peak inspiration. If I write acrylic on seeds – its hard work, it’s the study of Van Gogh. 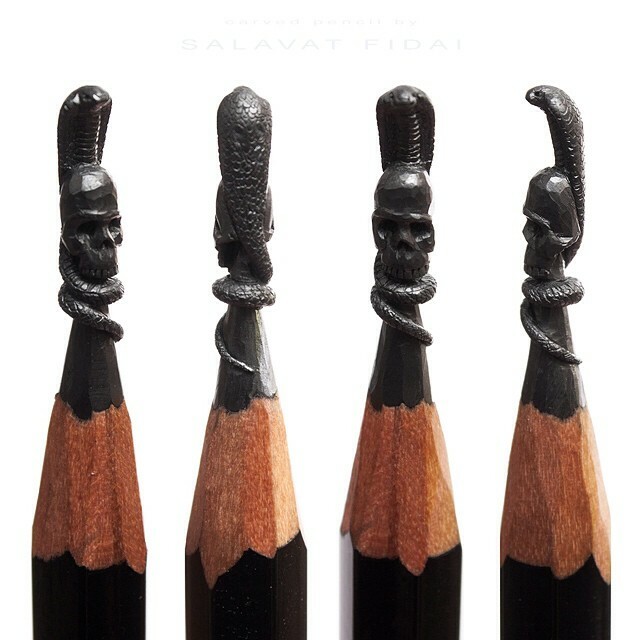 When I carve sculptures from pencils – its a meditation and a high concentration as a sapper. 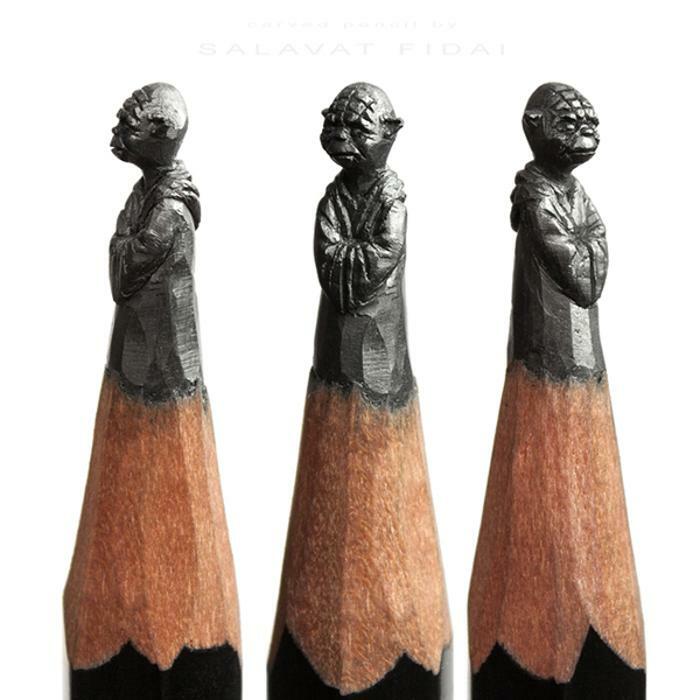 He does sell his sculptures on Etsy. Most pieces run about $99. 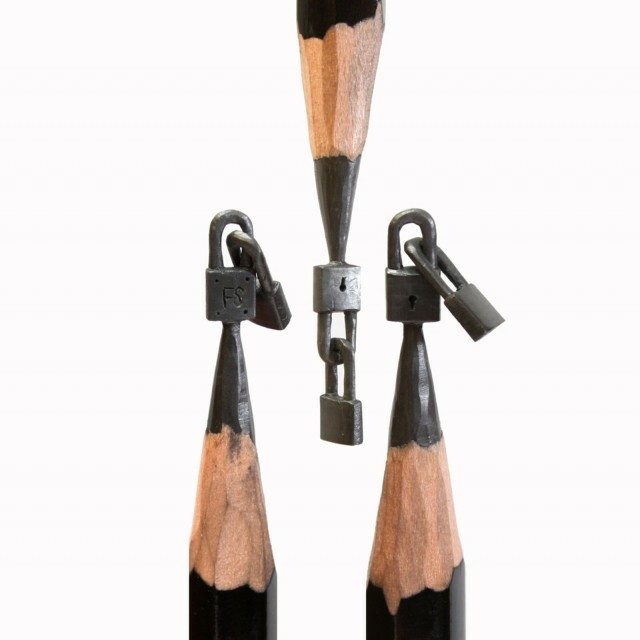 The artist also experiments in areas of drawing, painting, and photography in addition to his sculpture.